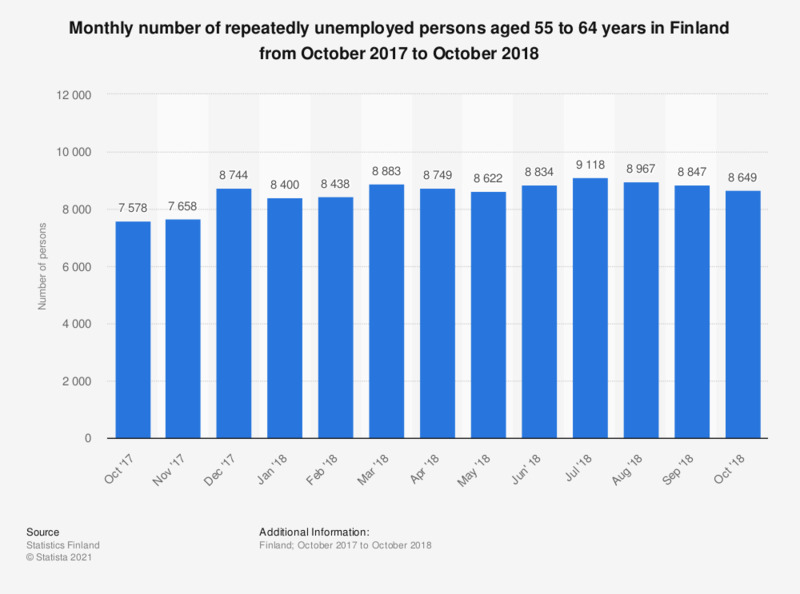 This statistic shows the monthly number of repeatedly unemployed persons aged 55 to 64 years in Finland from October 2017 to October 2018. During the given time period, the number of repeatedly unemployed in this age group remained relatively stable. In October 2018, approximately 8,600 job seekers in this age group were considered as repeatedly unemployed. As a repeatedly unemployed person is considered a person who has been unemployed for at least twelve months in a sixteen month period as a job seeker. For this statistic, the values reported by the source have been added up.